From sea to summit to renville parkrun. A year apart. So many might think I’m about to say that a parkrun is such a small event compared to something like sea to summit adventure race..This is totally untrue as I found out in 2016. It has been a year of frustration, of injury and of some regrets, however on Saturday last I ran a 5km parkrun. For me this was a race against myself and a race to prove to myself I was coming back to full fitness. I achieved my goal and with that my confidence is returning. For others it may of been a personal best goal or just a way to get out for a Saturday morning. My point really is that it totally depends on you and where you are at different times of your life. A year ago I probably wasn’t much fitter than right now but I was in the right frame of mind to go out and win a 56km multi sport race. This Saturday it meant as much to me to come through a 5km run in one piece! I think it is so important for people taking part in sport to realise that goals change. Just because you have a period without training or with injury doesn’t mean you are going backwards. It can improve you, make you stronger and in my experience this year, it can teach you so much about yourself. The winter therefore continues to be a time to plan for 2017 and hope that bit by bit things will fall into place to take on some big events in the year ahead. As I enter my fourth week without running, apart from the few times I checked to see was the injury still flaring up, I find myself realising I can alternate training so much more. I have spent the winter doing pretty much the same thing week in week out and now that the light is back there is a renewed energy in the air. I wasn;t home until six this evening from my cycle and it was still bright. I managed to get an hour and a half on the water, an hour on the mountain bike and a half hour yoga in today, before cooking a deadly stew this evening. Deadly as in really nice of course. A random mix – brussel sprouts, asparagus, mangetout peas, garlic, mushrooms, a tin of chilly beans, three quarters of a bag of quorn pieces, four spoons of coconut oil, one spoon of chilly flakes, half a spoon of turmeric and a teaspoon of paprika) All this in a cast iron pot and cook for a half an hour. It might sound a little weird but it was tasty and nutritous! So as I see it, as all injuries do, this injury is teaching me more about myself and how to combat injuries. The idea of sitting around waiting for it to heal just doesn’t cut it for me anymore. Being honest I think I probably made injuries worse in the past by sitting around, icing and elevating and the usual things we were told to do. Yes there is a time and place for this but once you can move, move. Get the blood flowing and start training in different ways. As this injury is relatively minor in the grand scheme of things it means I am still able to get out on bike and really push myself. I’ve decided to spend the next two weeks kayaking, cycling and doing some yoga. There will be plenty time for running. The Itera Race is a go in August, our team is set and now the preparation begins. It may be six months away but this is far bigger than anything I have tried and I intend to be as prepared as possible. I will post in lots of detail soon as to our plans and will document the long training sessions we are going to put together for it. Fun times ahead. Here is a link to a few bits of kit needed for the expedition races. Just in case you didn’t catch my winter cycling and yoga sessions, these are some of the videos I follow online and I think they are a huge addition to indoor training. After a gruelling session with my physio on Monday we concluded that I may have an isssue with the tendon at the top of my calf. This meant a week of rest with some yoga and stretching thrown in to stay active, as long as there was no pain. Today is Thursday and you won’t believe it, I have listened to my orders and am just finished my thrid yoga session of the week with absolutely no other training. I think this was due, not to mention I had free time this week, very weird I must say. Check out Ali Kamenovas classes below for some top class yoga/core sessions. I swear by her sessions for anyone that runs or bikes in particular, as there are loads of poses specific to glutes, hamstrings, hip flexors and of course balance throughout. I have referred to these yoga classes in posts in the past and feel they are well worth another mention. Tomorrow I return to the gym, a light session on the bike and maybe a tiny bit of running to test things out. I expect all to be good but now is not the time to rush back either. A little bit of swimming may be the way to go. The big news this week is that we are nearing entry to the ITERA expedition race 2016, part of the world series adventure racing calender. We have put together an international team, with two Kiwi’s coming on board to add experience and endurance to us Irish speed merchants. Exciting times ahead and a serious goal is now set for 2016. My first multi day race and boy am I going to have to dig deep to train and learn how to get myself through this one. 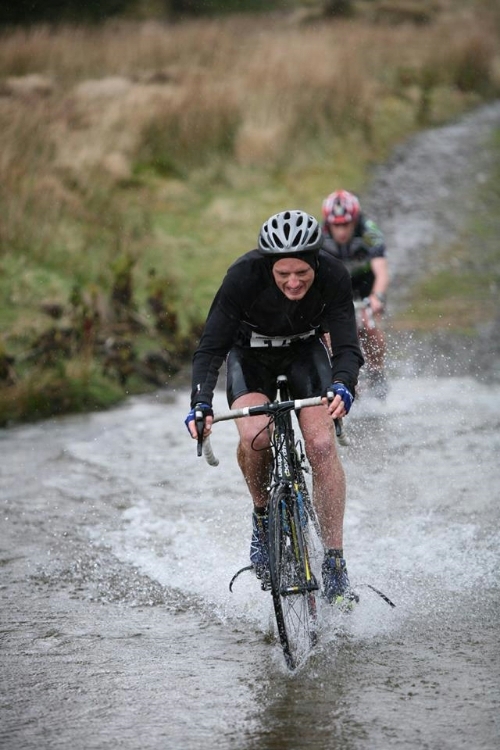 As I see it I love team sports and I love adventure racing, so why not compete in an adventure race on a team! I will go into more detail for what is involved once the final decisions are made on entry. Until then it is time to get moving again and try sort out these winter niggles. I have read a few interesting bits and pieces of late. This is a very simple but accurate guide to what to pack when hitting the hills. I intend on getting a few long hikes and trail runs in this winter and these are some essential ideas. This link shares alot of my experiences. I am addicted to fitness and training and when I get injured I will find any way possible to try and train. If I have an ankle injury I will be on the bike. If I cant do that I will try some weights. This article gives us an idea of the limits we should push to when injured. A recent Runner Academy podcast relates to injury also. This one talks about how we need to find a pain threshold that we can tolerate. If there is inflamation or pain after training or the next day, then it is time to rest more and think about some rehab. The no pain no gain theory is starting to fade a little but at the same time it is possible to train through a little pain. This podcast is a little crazy at times as Dr. Lehman pretty much advises us that there is no need for warm ups, stretches etc. I am not sure yet if I agree with it fully. 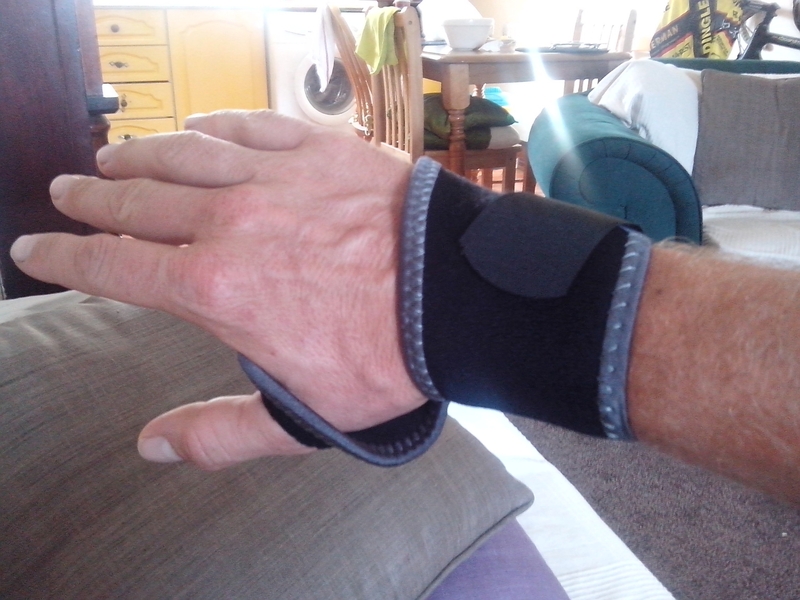 One week before race and I sprain my wrist, in gym of all places. Looks like damage to my TFCC or wrist on little finger side. Hopefully only minor but race in doubt with kayaking and the bike an issue. It could be so much more serious but after all the training it is frustrating. A 20km spin on the bike this afternoon to test injury out. The good news is all was well. It seems the abductor muscle is not that important on the bike and I should be able for a few tougher cycles over the next few days. Weeks rest (not including one 16 hour shift at work!) should stand to me in training over next few weeks. Sometimes I think the body tells us to rest with injuries. Lets hope I can fit in some good sessions between now and the 10th of May. Connemara here we come ! It looks like this will be my next challenge. The training in preparation for WAR race this weekend will have to be unleashed in Connemara instead! I have a grade 1 tear on my abductor muscle in right leg. Not a serious tear but I will be out of action all week. That gives me two week recovery before Connemara on the 10th of May. No doubt this is a set back but I have been injury free and it comes with the territory. The plan for now is some core work and light training for a few days if there is no pain. Back in action on the trail while on holidays in Portugal next week!